We’re a bit overdue for a new hero in Heroes of the Storm, and even though we don’t have much in the way of details, we now know who’s next: Fenix. Posted via the official Heroes Twitter account, all we have is a short quote and similarly short video teaser — but it’s still more than nothing. Alex: Fenix was one of those GLORY IN BATTLE warrior archetypes and died a glorious death, but then came back with his consciousness placed into a robo-spider to he could keep fighting. Anna: Based off wikipedia he seems like tirion fordring without the eating maggots. Anne: So….Reinhardt gone full wild wild west. Only not a bad guy. Rossi: Fenix was a Protoss Captain America. But who is Fenix, really? In the original StarCraft, Fenix was a Warrior type, fearless and headstrong. He led Protoss Warriors into battle and had no fear of death. Sadly, he fell to the Zerg during the Great War — but his body was recovered and placed into a Dragoon unit. Dragoons were prominent in the original game as spider-like quadruped units who specialized in anti-air attacks and was more useful against larger target, rather than groups of smaller targets. In StarCraft 2, they’re usable in Co-Op, but lore-wise have been succeeded by Immortals. The question now becomes, what type of Hero will Fenix be in Heroes of the Storm? I’m leaning toward Warrior, with a skew toward the bruiser side of the Warrior spectrum rather than the tank side. Warrior certainly fits the original character’s MO — but I’m conflicted as far as the Dragoon is concerned. They’re designed as “(siege) tanks but with lasers,” which means slower attacks but higher damage per hit. And while that description points fairly solidly in the “bruiser” direction, it feels weird (to me) to have two StarCraft heroes in a row be Warriors. Moreover, we only have a small selection of Assassin heroes who attack slower — having another would spice things up a bit. 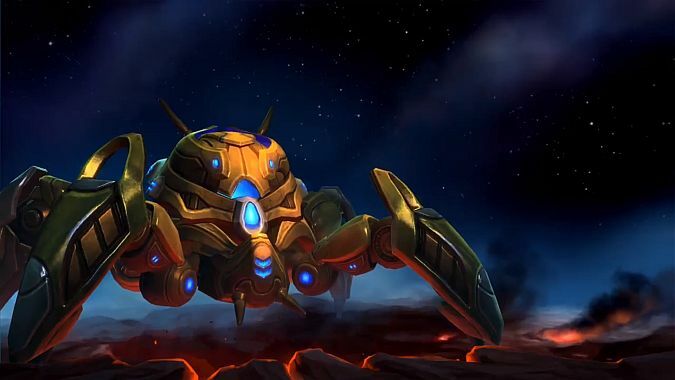 All that said, the most we know about Dragoon units from the StarCraft universe is that they’re spiderlike, have Plasma Shields, attack slowly with anti-air Phase Disruptors. Oh, and while they’re canonically able to move over unstable terrain, the original units became notorious for having poor pathfinding… hopefully we’ll get a small call-out to that. Until we know more, though, we’re left to speculation.